Overall length is under 82 inches so KingQuad 400ASi Camo 4 x 4 fits into a 6.5 foot truck bed. Overall length is under 82 in. so KingQuad 400ASi Camo 4x4 fits into a 6.5 ft. truck bed. The KingQuad 400ASi Camo features a fuel-injected 376 cc four-stroke, four-valve engine with new cam profiles and inner structures of the muffler (for more powerful and efficient performance). 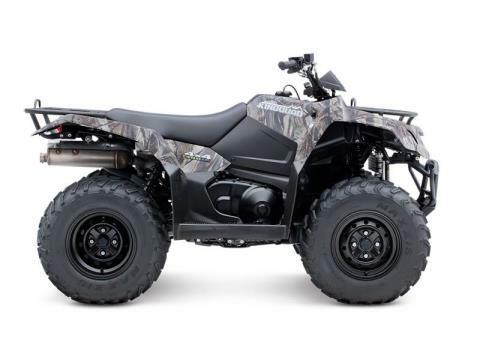 The KingQuad 400ASi Camo comes with electric start. A start-in-gear system - functional when the rear brake is applied - allows starting the engine without shifting to neutral when conditions warrant. 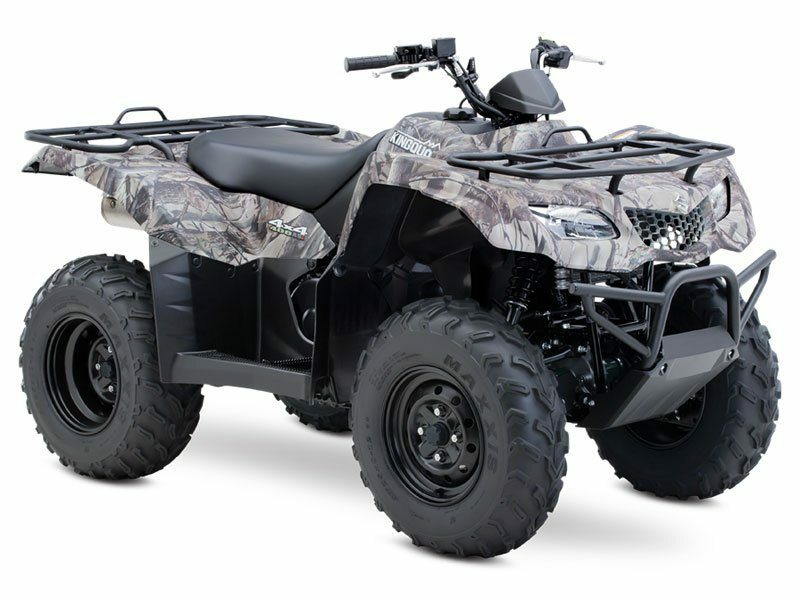 The KingQuad 400ASi Camo comes with electric start. A start-in-gear system—functional when the rear brake is applied—allows starting the engine without shifting to neutral when conditions warrant. You can select two- or four-wheel drive operation with the flip of a handlebar-mounted lever. The KingQuad 400ASi Camo shaft drive system is reliable and durable, and provides nearly maintenance-free operation. Suzuki's technically advanced QuadMatic transmission—a fully automatic, CVT (Continuously Variable Transmission) with high-low range and reverse. Its advanced engine-braking system minimizes free-wheeling with the throttle off and helps control the vehicle during steep descents.